In a salary cap world, it can make all the difference in the world to have a player or two who vastly outperforms their cap hit. That can be a part of the difficult balance a team must strike to have the roster depth and high-level talent it takes to make a run at the Cup. So we undertake looking at the 15 best contracts* entering the 2015-16 season. It’s tough to argue that Colorado’s defense is anything but atrocious. It may be improved this year — though that depends on a three-year contract for a 35-year-old defenseman and taking a chance on a 20-year-old who is unproven. Nonetheless, one of the brightest lights on the blue line is Barrie, who is the team’s fourth highest paid defender and is coming off a big year, posting 12 goals and 41 assists. His even strength P/60 of 1.43 is almost a half point above the next best defender on the team and was the best in the NHL among defensemen who played at least 500 minutes. Colorado’s speed and transition-heavy game benefits a smooth skater like Barrie who has a nose for the net. He’s getting the zone starts to maximize his potential, but that shouldn’t be surprising. That’s how Barrie should be used. Barrie will need to prove he’s more than the beneficiary of a team playing his style of game, but all signs point to yes so far. His 2.4% score-adjusted CF%Rel last year was a good sign, even if it came on a terrible possession team where his positive relative possession meant a 44.35% CF% overall, with the team averaging 41.95% CF% when he was off the ice. The Wild have some contracts that aren’t so great, particularly when we look at their cap situation in a year or two with the inevitable decline when players get into their 30s. But they also have a couple deals that look really great right now, like Zucker’s. This isn’t an entry-level deal and there’s only one year left on it, but with the season he had last year, paying less than a million is an absolute steal. He had to pay his dues after showing some defensive struggles in previous seasons, but he turned that around last year. More importantly, he was effective offensively, scoring a career-high 21 goals through just 51 games. That translates into a G/60 of 1.57 at even strength. How good is that? Only Rick Nash had a better G/60 at even strength. Zucker has some rounding out of his game to do still, but assuming there’s continued development, Zucker is an incredible deal for the Wild. With two years left on his deal, Pearson could emerge as a young producer who outperforms his contract. Pearson is far less of a sure thing than the others on this list, but he was on pace for 24 goals last season if he didn’t miss half the year. Justin Williams is gone, but he still has Tyler Toffoli from That 70s Line and it was clear through the season’s first half that Pearson and Toffoli had a special chemistry going. Entering his 23-year-old season, there are high expectations for Pearson and if he can get there, this deal is going to look great. Working against him? His 17.6% shooting percentage. He’s not likely to repeat that very high mark, but if the continued growth is there, it’s well within reach for him to surpass 20 goals. Carolina’s second highest paid defender is on contract with this deal for the next five seasons. 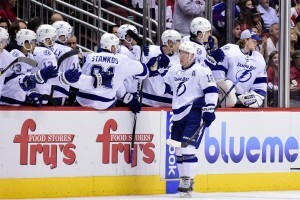 It’s a very reasonable price to pay for the team’s top defenseman, who is leaned on in all situations. Last season, he lead the team in even strength and power play ice time and was second among team defensemen in penalty kill time. He isn’t getting padded time either, he had a -2.77% ZSO%Rel and still managed a 4.11% score-adjusted CF%Rel for a 54.03% CF% and a +226.96 score-adjusted C+/-. He ranks in the league’s top 10 in CF60 among defenseman who played at least 500 minutes, as well as the top 20 in C+/- and ATOI. Following a buyout and a season cut short by injuries, Ehrhoff has been forced to take a lower rate on his new contract (though I wonder if Columbus was actually offering more and he took less to play with a team he believes could win a Cup). The one-year deal he signed with the Kings came with medical clearance, and assuming his health, this is a big deal for the Kings. 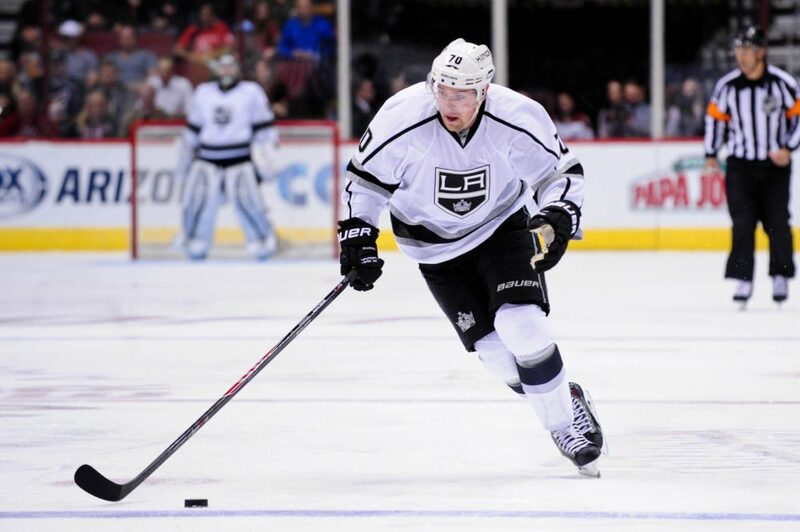 Ehrhoff has the ability to turn the Kings’ blue line into one of the best in the league this season. 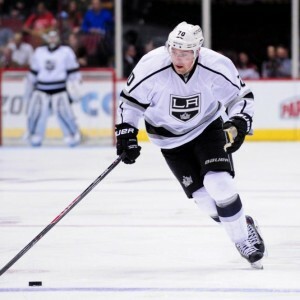 Instead of being hampered by the departure of Andrej Sekera and the ongoing legal trouble of Slava Voynov, Ehrhoff’s very reasonable contract puts the Kings in a place where they’re able to play their very defensive-minded game without worrying about having a shallow blue line that could expose Jonathan Quick. This two thirds of the Triplets Line is sporting matching contracts with two years remaining on each. They’re on the radar in a big way entering this season after Johnson led the postseason with 13 goals and a total of 23 points and Palat posted a healthy eight goals and eight assists through 26 games a piece. But their prowess goes beyond the postseason. They’ve been effective regularly with both averaging nearly a point per game last season. Johnson had 72 points (29 goals, 43 assists) through 76 games and Palat had 63 points (16 goals, 47 assists) through 75 games. They are 25 and 24 respectively and if they continue to grow this season, they’re going to be worth their salary and much more. Shattenkirk is a wildly versatile defenseman and his offensive mojo is among the league’s best from the blueline. His 1.1 P/60 at even strength is nothing to sniff at. Neither is his impressive 7.74 P/60 on the power play. That’s the best mark among any defenseman in the league who played at least 100 power play minutes. Like with Barrie, his numbers are padded by his usage — heavily offensive with a 9.7% ZSO%Rel — but if you’ve got an offensive talent like Shattenkirk and you’re able to use him that way, you should. His possession numbers are similarly padded by usage, but his 4.79% score-adjusted CF%Rel is strong and there’s been consistency in that category. The lowest relative CF%Rel he’s ever posted is a 1.3% and that’s generally done under a heavy workload. He averaged 22:30 of all situation ice time last season. With two years left on his contract at 26 years old, he’s doing a lot of heavy lifting for his cap hit and way may not have seen his ceiling yet. While Andersen has been in danger of losing his job to others at times, he has been a reliable starter, posting a .914 save percentage through 54 games last season. The year before, he stole a lot of games from starter Jonas Hiller, including getting seven starts in the postseason through an injury-riddled run for the Ducks. Andersen is in the final year of his deal, but he’s likely to again be the team’s starter, despite the promise of John Gibson and the team bringing in Anton Khudobin via trade. Why is this deal so good? The list of goaltenders making more than Andersen is very long and includes some guys who make you think Andersen is one of the better goaltending deals out there this season. That list includes Robin Lehner, Martin Jones, Alex Stalock, Michal Neuvirth, Andrew Hammond, Karri Ramo, Jaroslav Halak, Tomas Greiss, Jhonas Enroth, James Reimer, Ondrej Pavalec, Jonathan Bernier, Jacob Markstrom, Ben Scrivens, Jake Allen, Brian Elliott, Jonas Hiller and Chad Johnson, among others. Spurgeon is quite easily one of the NHL’s most underrated defenseman and is arguably the Wild’s best d-man on a crowded blue line full of young talent. In the final year of his contract, he’s coming off a career-high nine goals, posting 25 points through 66 games, averaging almost two shots per game. On a positive possession team, he’s posted an impressive 4.5% score-adjusted CF%Rel, which follows a 3.4% mark the season before. That 4.5% was the best among team defenseman by almost 3%. He had the blue line’s second best P/60 at 0.89 (among players who played at least 41 games). The team took more shot attempts with him on the ice than any other defender, with a 60.18 CF60 (nearly five shot attempts better than the next best) and his overall shot attempt differential was almost 70 shot attempts better than any other blueliner. Spurgeon is vitally important to the Wild blue line and he’s the team’s fourth highest paid defender. I know. This is two players and two players who are not particularly cheap. Benn and Seguin make the list together because they play together, have a similar cap hit and their deals are similarly great for Dallas. Seguin is on contract for another four years and Benn, the team’s captain, is on contract for another two. They’re easily the two best forwards on the team and they’re making the third and fourth most money among team forwards. Even more impressive, no team in the NHL had a pair of players who put up more than their 164 combined points. With that in mind, it’s notable that their combined $10,820,000 cap hit is the 17th highest of any team’s top scoring duo. To get two players at the top of the league at this price is a crazy-good deal and it’s not going to last forever. But their deals allow the team to pay big to bring in Antti Niemi, Jason Spezza, Patrick Sharp and Johnny Oduya, all of whom will give the team a shot at winning now. Couturier is entering the final season of his contract, but already has his next deal lined up. It’s a six-year deal with a AAV of $4,333,333. That deal is built partly on what he’s provided so far and partly on what’s expected from the 22-year-old center in seasons to come, and while we can argue about the value on that deal, he’s a steal this year. Last year he posted 15 goals and 22 assists through 82 games. It’s not mind-blowing, but a huge part of his value comes in his usage. He absorbed rough relative zone starts to the tune of a -15.9% ZSO%Rel. That’s easily the toughest zone starts of any forward in Philly. He did that while playing the third most minutes of any forward on the team. That’s a trend: The best zone starts he’s ever had relative to teammates? -12.8%. That makes last season’s -1.4% CF%Rel seem pretty solid. His price tag is fantastic and gives the team a lot of strength down the middle, with a shutdown center in a division where there are a few top heavy squads. Keith’s salary is no pittance. However, it’s a small price to pay for a three-time Stanley Cup winner, two-time Norris Trophy winner and last season’s Conn Smythe recipient. Even at 31, he seems to be getting better every year, making his 13-year contract look more and more like a pretty prescient signing by Stan Bowman. Not only is Keith great, he’s a workhorse, logging big minutes and he’s always there for the team. Through 10 NHL seasons the most games he’s missed in a single season are eight. In total, he’s missed 20 regular season games through those 10 seasons. With eight years remaining on that contract, it’s not entirely clear how we view that contract once it finishes in the summer of 2023, but for the 2015-16 season, it’s a steal for a cap-strapped team that starts paying through the teeth for Jonathan Toews and Patrick Kane this season. With two years remaining on his contract, Tampa’s top defenseman is their fifth highest paid defender. He may have caught national attention in the Lightning’s run to the Cup Final last year, but he’s been solid and getting better for years, proving that Tampa made a good bet taking him second overall in the 2009 draft. 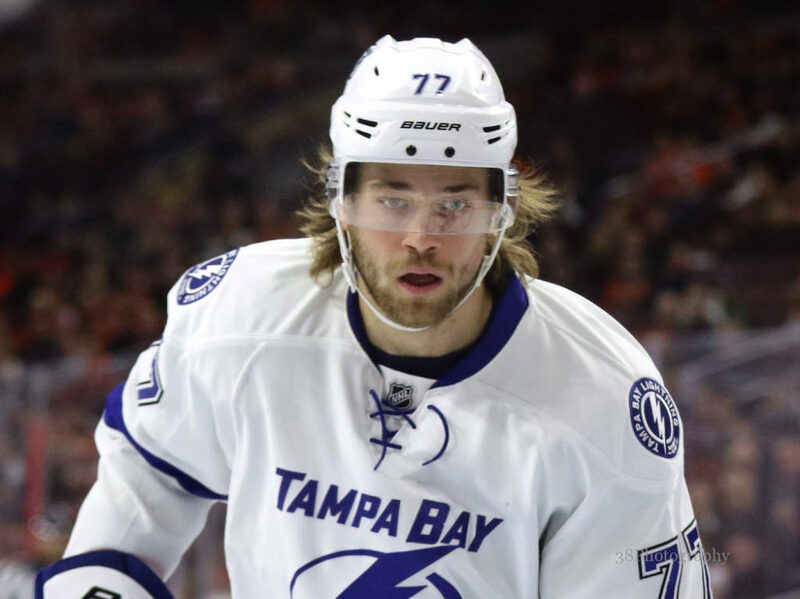 Throughout the 2014-15 season, Hedman averaged the most ice time on the team, the best P/60 at 1.36 and his 0.39% score-adjusted CF%Rel was the second best among Bolts defensemen who played at least 30 games. His importance to the team is gigantic and it will continue to grow. Having him on contract for the next two seasons at $4 million is helping the cap-strapped Bolts be competitive at a time when a lot of their young players are jumping up to serious contracts. Still in his prime, Okposo has played well beyond his $2.8 million cap hit for the Islanders. Last season he put up 18 goals and 33 assists through 60 games, which followed on the heels of a 27-goal, 42-assist performance through 71 games. This five-year deal is coming to a close, but the bet on using that cap space on an unproven player who just came off a five-goal, 15-assist season has paid off for the Isles. Ultimately, this contract, which is in its final year, may prove to be a problem for the Islanders. They’re a playoff team and they’re going to need to him, which means they can’t trade him and there may not be room on the cap for the team to get him on a deal during the season. That leaves the possibility open for Okposo to explore free agency and for the team to lose him for nothing. Giordano is getting a raise after this season, but the 31-year-old defender will be the Flames fourth highest paid defenseman this season. Last season, he was a shoo-in to be a Norris Finalist had his year not been cut short by a bicep injury. Despite playing just 61 games last season, his 11 goals and 37 assists had him ranked 13th in points among NHL defensemen. When his new six-season deal kicks in during the 2016-17 season, he’ll be making $6.75 million a year, which still isn’t a terrible cap hit if he can keep up even a fraction of his strong play last season. Giordano’s 5.89% score-adjusted CF%Rel was the best in the NHL among defenseman who played at least 34 games. The 24-year-old number one overall draft pick finished second in points league-wide last season and only missed finishing first by a single point after Jamie Benn put up three goals and an assist in the final game of the season. 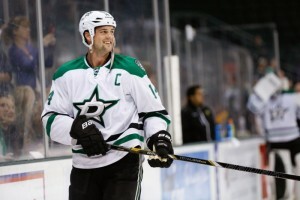 (Benn had 10 points in the season’s final three games as well.) The year before he played just 59 games, yet posted 66 points. $5.5 million isn’t nothing, but he’s tied for being the 53rd highest paid forward in the NHL. He certainly deserves to be among the league’s top earners. At $5.5 million Tavares is a steal. The team’s captain is making just $500,000 more than Mikhail Grabovski and has three years remaining on his deal. RELATED: How Good is John Tavares? Honorable Mention: Sami Vatanen – $1,262,500; Ryan Johansen – $4,000,000; Tory Krug – $3,400,000; Alexander Semin – $1,100,000; Roman Josi – $4,000,000; Chris Kreider – $2,475,000; Patrick Wiercioch – $2,000,000. * For a player who has retained salary with a team he is not currently playing for, the full value of the salary is used as the benchmark. This is because the cap hit in this situation doesn’t accurately reflect what kind of “deal” he is for the 2014-15 season. The team who acquired him gave up other assets to have another team retain his salary. Additionally, players on entry-level contracts were not considered. And yes, I cheated and added a 15a and b, plus two numbers that feature a pair of players. You should see me play Monopoly.